I admit it, I have jumped on the "mustache" (and cheron stripes) bandwagon. I saw some icebreaker questions on pinterest (this pin) and told myself I had to borrow the idea. 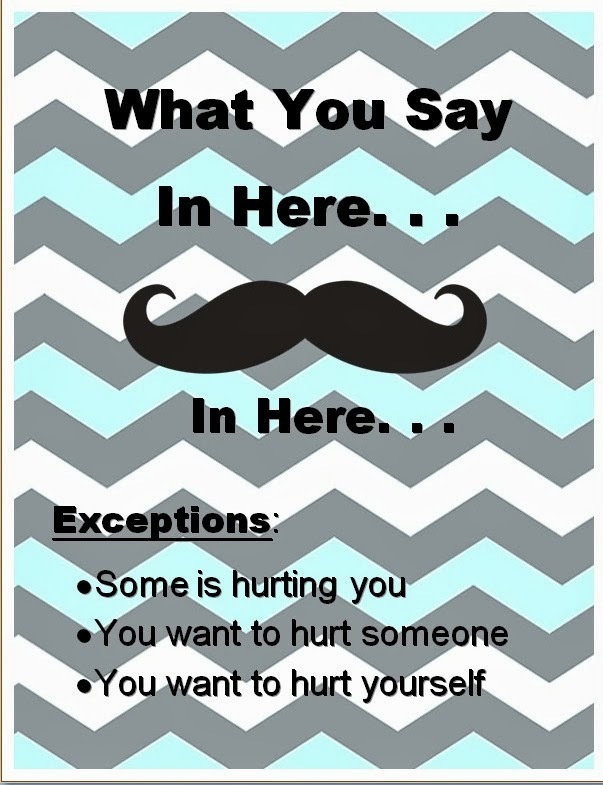 I also saw this very cute Mustache sign and thought I should make one as well. 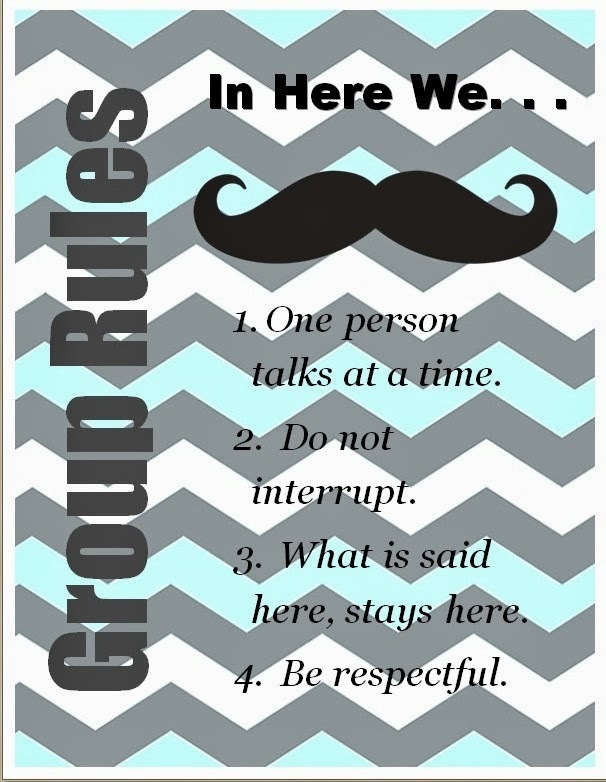 After I made the "What you Say In Here" sign, I made the "Group Rules" sign. It was actually after that point that I thought I should make my own "Mustache" game. Having borrowed some questions from others, and creating some of my own, my Lunch Bunch Kiddos went around the table today sharing their questions and answers. After printing out the cards, I laminated them so they would withstand multiple uses and sticky fingers. When a cow laughs, does milk come out of its nose? What kind of jell-o do you like? What do kangaroos do for fun? Would you rather be in a room filled with rats or snakes? Why do cats and dogs fight? If you were a jellybean, what flavor would you be? Even though the answers were funny, it really made them listen to each other. The Today I learned" cards were laminated as well. 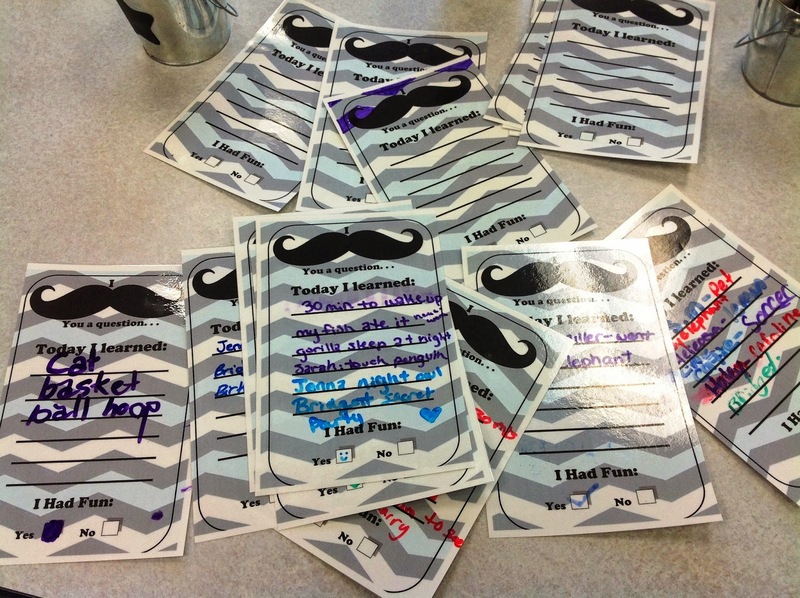 We wrote on them with dry erase markers. 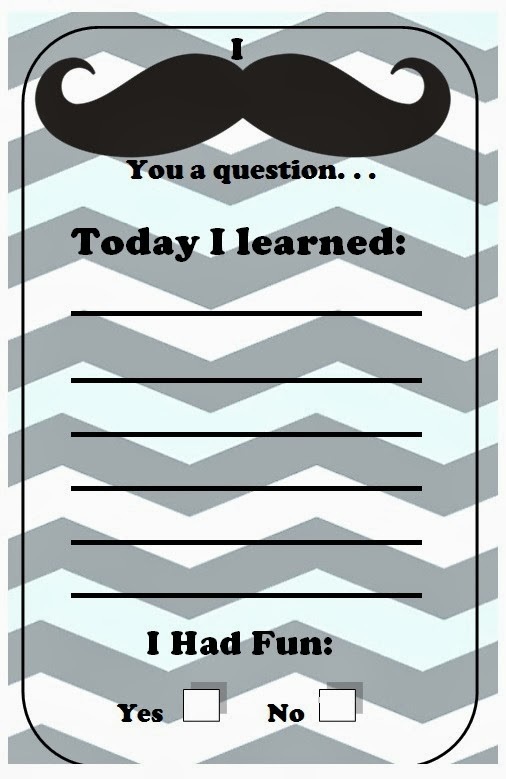 It's a great way to reuse worksheets over and over again. Lots of fun today. Hope you like our "mustaches". I could not get the mustache game to open, is there another way I could get a copy? Thanks! 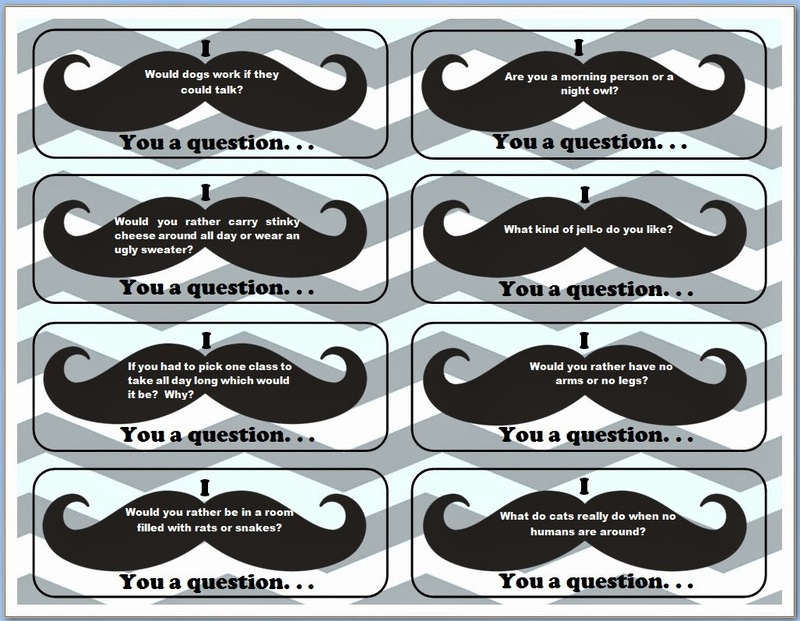 I was wondering if you have an editable version of the question cards? I use your questions but was hoping to make some for specific topics - more specific to social skills, self-esteem, etc.